László G. Fülöp was raised in the towns of Tiszakécske, Máramarossziget (now in Rumania), and Szentendre. He was conscripted to a forced labor division in Komló and Budapest in 1954-55. In 1956, he took an active role in the Hungarian Revolution, then fled to Austria in January of 1957. He studied architecture in Vienna, Austria and at the University of Minnesota; he worked in private practice, then at the Universities of Minnesota and Wisconsin as Director of Planning and Construction 1975-90. With his wife Ágnes Sylvester, Mr. Fülöp has long been a member of the American Hungarian Federation and leader of the Minnesota Hungarians. He is also a Board Member of the American Hungarian Federation and a former President of the Hungarian Community of Friends. 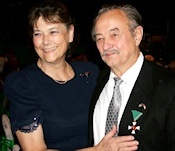 On 29 September, 2008, Mr. Fülöp was awarded the Officer’s Cross of the Order of Merit of the Republic of Hungary from by President Sólyom László as conveyed by Kinga Göncz, Hungarian Minister of Foreign Affairs. Máramarosszigeti Történetek: Egy kisfiú kalandjai vészterhes időkben" (Stories from Máramarossziget – The Adventures of a Young Boy in Turbulent Times) chronicles the author's own childhood experiences during WWII in Transylvania. The book tells poignant tales of László’s family’s life during and after World War II in Máramarossziget, now located in Northern Rumania. Through the Fülöp family’s stories, this stormy period of Hungarian history is placed in a historical and human context. The book’s beautiful illustrations enrich the interest and appeal of each story. He would later publish a follow up chronicling his post-WWII experience, including the 1956 Hungarian Revolution and his escape from communist Hungary entitled, ""Dunatól a Mississippihez" ("From the Danube to the Mississippi")" on the right. The book (in Hungarian) can be ordered from the website of the publisher, Fekete Sas Kiadó, Hungary [ORDER NOW]. 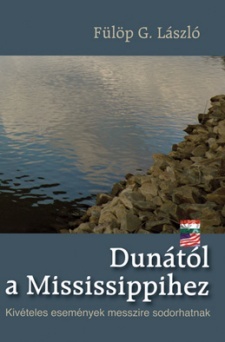 "Dunatól a Mississippihez: Kivételes Események Messzire Sodorhatnak" ("From the Danube to the Mississippi: Extraordinary Events Can Sweep You Far Away")is a follow-up to Máramarosszigeti Történetek: Egy kisfiú kalandjai vészterhes időkben" (Stories from Máramarossziget – The Adventures of a Young Boy in Turbulent Times) which chronicles the author's own childhood experiences during WWII in Transylvania. "Dunatól a Mississippihez" ("From the Danube to the Mississippi")" chronicles his post-WWII experience, including the 1956 Hungarian Revolution and his escape from communist Hungary and his new life in the United States. The book's subtitle, extraordinary events can sweep you far away" refers to the extraordinary events of post-WWII Hungarian history and their effects on this life. 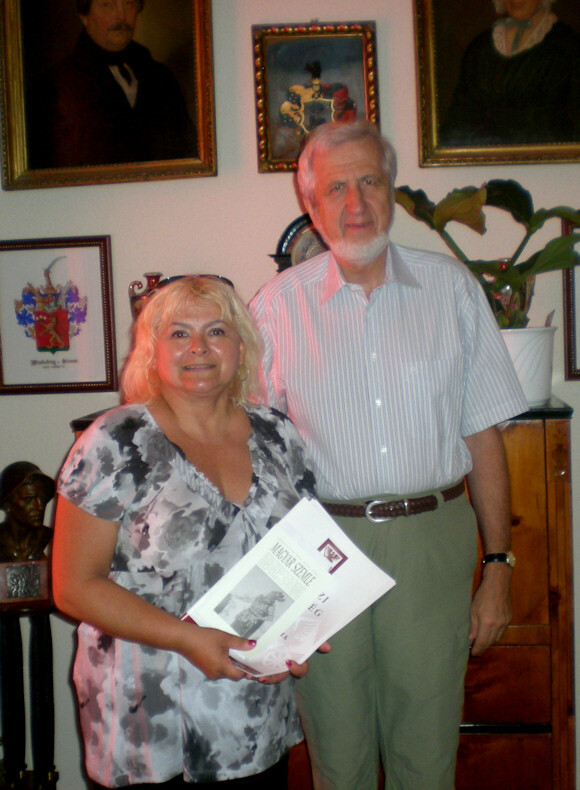 Mr. Fülöp pays homage to his family as well as to some of his unforgettable teachers and several classmates at the Franciscan High School of Szentendre. After his father’s arrest and imprisonment on trumped-up charges by the Communist authorities, the chapters describing Fülöp’s own compulsory service in a “labor batallion” and his subsequent participation in the 1956 Hungarian Revolution make for compelling reading. Although his dramatic escape and later life as a successful architect and city planner in Wisconsin and Minnesota have indeed “swept him far away” from his beloved Hungary, his frequent trips and continued love of his homeland speak loudly from these pages. The book (in Hungarian) can be ordered from the website of the publisher, Fekete Sas Kiadó, Hungary [ORDER NOW].